NYC, 05/02/2019, 2:00PM. 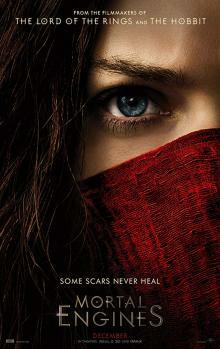 Mortal Engines (2018): Fantasy From The Filmmakers Of Lord Of The Rings. 128 min. Director: Christian Rivers. Starring Hera Hilmar, Robert Sheehan, Hugo Weaving.